IN 2012, Nathan Taiaroa’s little brother had an accident on the family farm in Kandanga, and it made him realise life is too short to do things you are not passionate about. 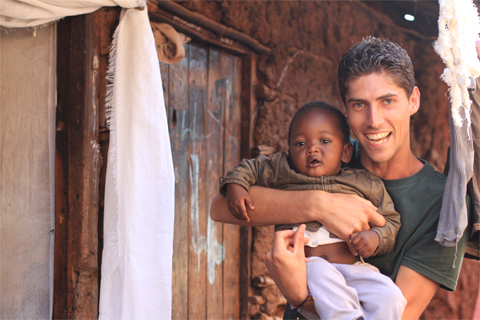 He then quit his job as a manager at Ernst & Young in Brisbane and volunteered at a charity school in Tanzania. The School of St Jude, where he lived, provides free, high quality education for 1800 of the Tanzania’s poorest students. 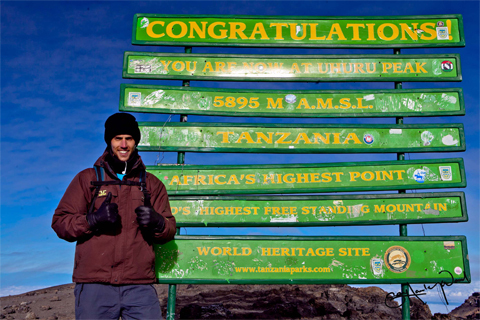 It was a circular journey for Mr Taiaroa, who first visited Kenya and Tanzania in 2008 after the death of his mother. “I’d always wanted to go on safari in Africa and when mum died I decided it was time to do it,” he said. Ever since that trip, he had a desire to return. “I was looking for something that was outside of my comfort zone and that was going to challenge me,” he explained. “That is why I didn’t do what most Australians do and move to somewhere like London. I wanted something a bit more adventurous. “I also wanted to be able to make a difference in a country that needs a lot of help. I did however understand the best way to help Tanzanians is to provide them with an education. Each year, billions of dollars, and hundreds of thousands of aid workers and volunteers, flood into the African continent to fight poverty. “Many organisations report poverty is getting better and as a percentage of the population, this is true,” Mr Taiaroa said. “Calculate the actual number of people living below the poverty line and you’ll see that in Tanzania and Kenya it has actually gotten worse over the past 35 years. He believes aid money is inefficient because it does not empower local people to solve their own issues. Mr Taiaroa has started a business with the aim to connect travellers in a deeper way and make a difference. “Adventure Out Loud facilitates adventures that challenge and connect travellers to community, culture and charity,” he said. Mr Taiaroa explained he got sick of two things while he lived in Tanzania. “Tourists who visited Tanzania for safari and to climb Kilimanjaro but never actually left the comfort of their hotel to meet a Tanzanian,” he said. He explained thousands of short-term volunteers coming to Tanzania to help were actually making things worse. “Voluntourism is a US$3-billion industry and unfortunately most providers take advantage of both the volunteer and the community,” he said. “Programs aren’t planned well, volunteers are not screened and there are many cases of known paedophiles working in schools and orphanages. Mr Taiaroa said the issue lay with the tourist and volunteers visiting Tanzania. “(They) did not have the education they needed to understand the reality of the experience they were having or missing out on,” he said. “I also recognised most people living in Australia wanted to help but didn’t know where to start, didn’t have time to volunteer effectively or didn’t trust charities who had abused their money in the past. “So we created a travel model that allows people to have authentic travel experiences whilst also introducing them to the charities they can trust and causes they can support that are making sustainable and meaningful differences in the communities they are visiting. Mr Taiaroa is also a director of a charity working in Kibera Slum, Nairobi – Africa’s largest urban slum and home to one million people, all of which are living below the poverty line. He said children in the slum cannot afford to complete school because there is no free secondary schooling in Kenya, and government schools costs about $1000 per year. “If you’re family live on $2 per day, there is no chance they can afford these fees. The charity is called The Mirror of Hope CBO,” he said. Mr Taiaroa said it has been a hard and often lonely journey creating the business. “I think as an entrepreneur I sometimes get caught up in trying to make the business the best and achieve all of our goals right now,” he said. In the first 18 months, the business has contributed to the sponsorship of more than 50 students, raised more than US$65,000 and partnered with six charities in Kenya, Tanzania and Cambodia. Mr Taiaroa explained his altruistic nature could be attributed to his father, who he said is a generous person, and over the years, had visited India many times. “While it isn’t something he openly talks about, I believe this example rubbed off on me,” he said. “It’s incredibly hard to describe why I do what I do, other than to say that it feels right.